It really puzzles me how a big brand and market leader like Marai could fail miserably because of Social Media illiteracy. New media should help such brands to bond more with fans & strengthen its relationship with the consumer and the market and not vice versa. Is it that Arab brands still didn’t understand the lesson? are they underestimating social media power? are they in denial that their companies are vulnerable to criticism too? i still see more and more brands fall in this trap, like Vodafone latest accident. .
Anyhow,The story started when Marai decided to increase the price of one of the basic products by one Riyal. In mid-July, one simple tweet with the Hashtag #Mara3i grasped the so-called-great brand in a massive storm across the web and ended in Marai suffering a PR crisis, lost market share and definitely a soon ill-shaped balance sheet! One tweet, from a regular Saudi consumer, asked why would a company as huge as Marai with a great market share increase the price in a high-demand month like Ramadan, obviously, Marai brand was in a deep coma on the web, and it wasn’t there to answer or listen to him especially in such a sensitive time . In a matter of days, People picked on the hashtag and a big controversy started on the subject. It hit a tipping point, hundreds of re-tweets, consumers voices flooded in, and it all ended up with a big campaign to boycott Marai product’s which took place in Twitter and fired across other social platforms. “Boycott Marai” Twitter accounts opened, a Facebook page with 25K members and growing. The Mara3i hashtag was trending in Saudi for a good 2 weeks! Eventually newspapers picked up on the subject and it became talk of the town! If you visit any local supermarket at the time you will notice that the brand products are stacked above each other with no interested buyers! (People took pictures and shared it immediately) Marai products are being avoided for other brands, after it was the favorite in its category! Ouch, that definitely hurt someone, but apparently no one felt sorry for them; Everyone came to agree that we are not in hush-hush-it’s-OK era! People talked about their concern, shouted it very loud and connected with other people, who felt the same way. Together, a whole anti-Marai tribe got together, and that tribe got bigger and bigger. Soon enough, that online tribe compelled Marai to take the price to it’s original level and made some government entities (consumer protection) pay attention to the issue and ultimately set a price range for dairy companies to stick to. Harsh lesson to Marai! But after all that, I wanted to check on Marai presence again on the web as it definitely learned it the hard way, shockingly enough…Nothing! What is Marai waiting for?!! I have heard in a social media conference once before this incident that Marai had more than 70,000 mentions in the social networks and zero presence. Wasn’t that a compelling reason for the brand to pay enough attention to the new world of mouth? And even after it paid the price apparently it still has it’s head under the sand! Do I mean that what happened to Marai could be avoided totally through social media presence?!! Not completely, but at least they would have had more time to react in the right ways! at least they would know that something was going on. 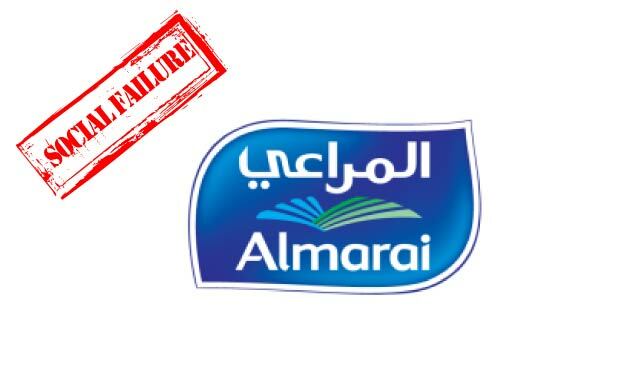 If Marai was mingling with its fans, joining the conversations, explaining how rising global commodity prices are the reason behind the price increase and not pure greed; I believe and trust that the good Saudi consumer would have listened very well and responded positively. But Marai failed itself and consumers and preferred to stay in the cave! This is the expensive price of ignoring new media and caving in old, rusty beliefs. Amer is the founder of Hashtag, a new social media agency that specializes in humanizing brands on the web in the Middle East. Hi Ciccio and thanks for the comment, well people tend not to believe everything a brand says because at the end of the day you are trying to “sell” but as long as you’re being honest, transparent and human with your audience then you have nothing to worry about. People can tell when they’re being lied to and they don’t like it… A good way is to engage with your loyal customers and they’ll eventually spread the word for you. Peer recommendations are always more credible than brand promotions. And you should never say anything bad about your product that’s for sure (unless if its true and you’re trying to make a point – Like Avis’ we try harder campaign), but generally if you made a mistake you should acknowledge it and take actions to correct it and make sure people know that it wouldn’t happen again. doesn't this also highlight the danger of having a presence? as nothing they can say/do can help bad press sometimes. I'm soon to start working as a social marketer for a few large brand food products, and my fear is that anything you write can always be taken out of context if you are the one selling the product- people think you are biased. however, you would never say something bad about your own product either would you? Agree completely brand even relatively smaller than this should have some sort of basic presence on social media sites its a requirement these days. Thank you Kamil! I’m humbled you found it valuable. Excellent wake up call, Well said and thank you! Nina, thanks for sharing the inquiries. I do have most of the answers but the purpose of the blog post was to simply indicate the importance of social presence online to the readers and not to share a heavy case-study. Interesting article, but leaves me with more than a few questions. I would find it very valuable if you could share some data and insights into this. How many tweeps were discussing the issue and how many tweets were actually published using the Mara3i hashtag? What was the sentiment breakdown related to those tweets? Do you have the sales figures for the period before, during and after the incident? How long did it take for other tweeps to pick up on the conversation from the first tweeter? Any solid data that you could share would be much appreciated.